How do I introduce my main character to the reader? How will this story begin? What happens between revealing the problem and the solution? How does my character react to this problem? Does this fit the person I interviewed earlier in the week? How am I going to show without telling? 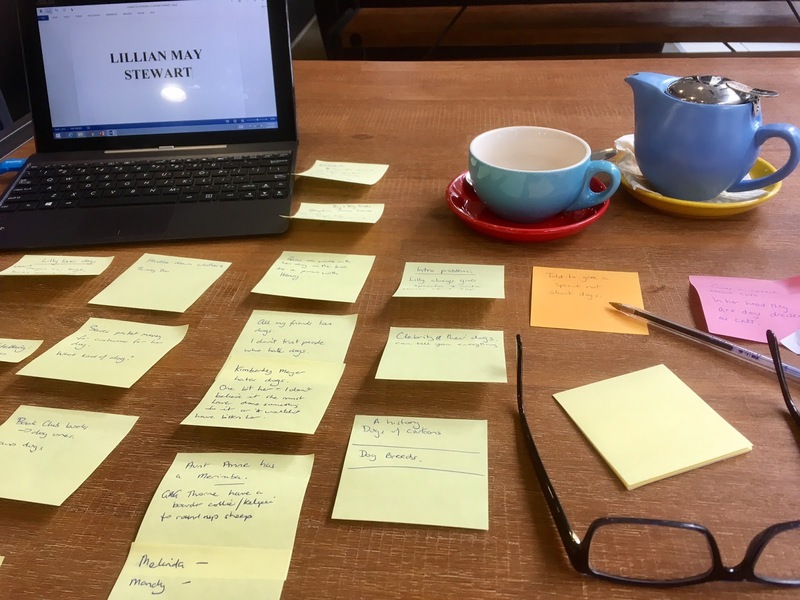 Using post it notes I began to brainstorm the plot. While physically moving the posts it notes around the holes in my story arc became clear. Does the addition of some of the other characters add to the story? Should they be introduced yet? What research do I need to do to fill the holes? For example: What breed of dog will Lillian own and how does this show more about my character and her family? Do I need to interview other characters to understand their motivations better? Do I need to brainstorm more ideas in how my character solves the problem? Am I still happy with the ending? Will the audience feel satisfied with the story ending? 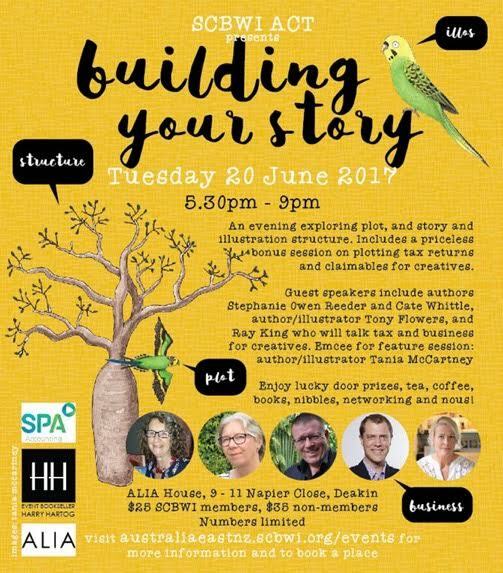 Luckily for me, this Tuesday (20 June 2017) SCBWI ACT is hosting an event Building Your Story in Canberra. At this event authors and illustrators will talk about exploring plot and structure with practical advice on & common pitfalls. This should further assist me in developing my story and filling in some of my holes.